Centuries before the Canal was built, Panama was already the "Crossroads of the world". Products from the most distant and exotic countries found their way here, and still do. Nowadays the latest in electronic and audio-video equipment, clothing, perfumes and cosmetics are available in abundance. Prices are very reasonable. Most items carry only a 5% sales tax and bargaining often gets you a lower price. 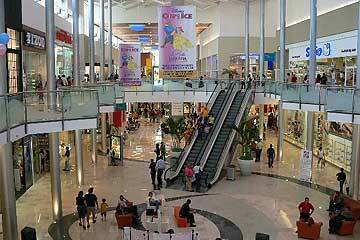 Panama is an unrivaled country for shopping. 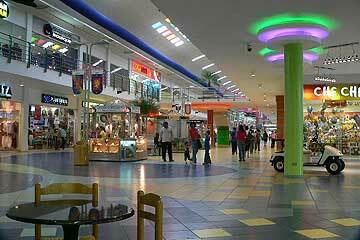 It's considered a paradise for buying electronics, clothes, perfumes and handicraft. Panama offers a huge selection of excellent handicrafts and souvenirs, we can show you here only a small sample like the famous molas and ceramics to the Panama hats. 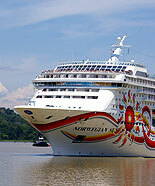 Here at PTY4U.com you find more photos from Panama. 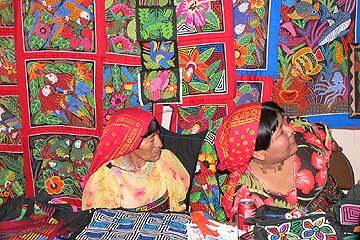 You can buy the handicrafts in most tourist centers and many are on display once a year in the Handicraft Expo in the Atlapa Convention Center.